Fresh talks are to be held in an attempt to avert recently announced strikes by rail workers in a dispute over pay. Members of the Rail, Maritime and Transport (RMT) union at Network Rail are due to walk out after a new pay offer was rejected. They are set to hold a 24-hour strike from 5pm on Thursday, June 4 and a 48-hour strike from 5pm on Tuesday, June 9. 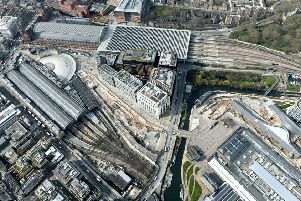 A Network Rail spokesman said the company and the RMT have agreed to meet at the conciliation service Acas later today, Friday May 29, to try to resolve the dispute and avert strike action.